I've actually had these blocks finished for a hot second, but keep forgetting to blog about them. Anywho, I had a really good time with these (for the most part!). BUT, once I had that all straightened out, it came together pretty quickly, and I really like the process. I don't, however, like the mess of paper that happens when the back has to come off. But oh, well. 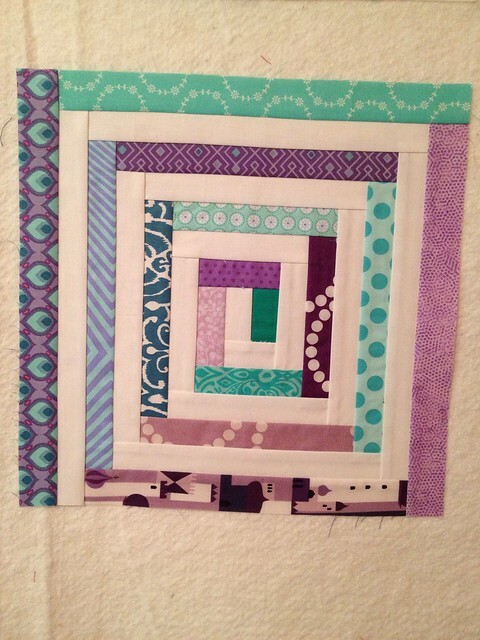 I'll definitely be doing more paper piecing in the future! 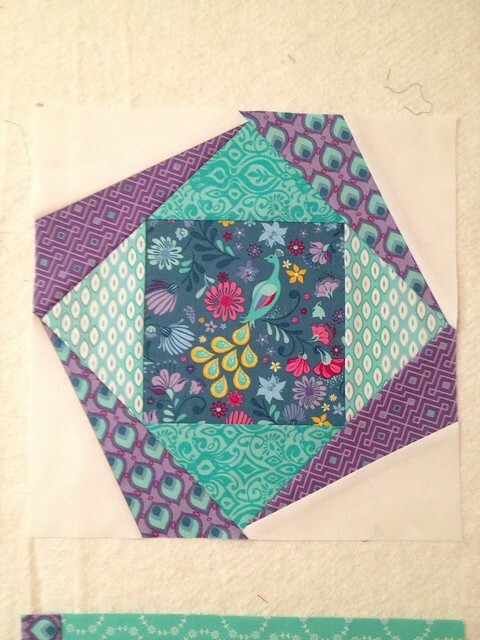 I fussy cut a larger scale print for this block, instead of putting on the applique circles the pattern call for. I like the effect! 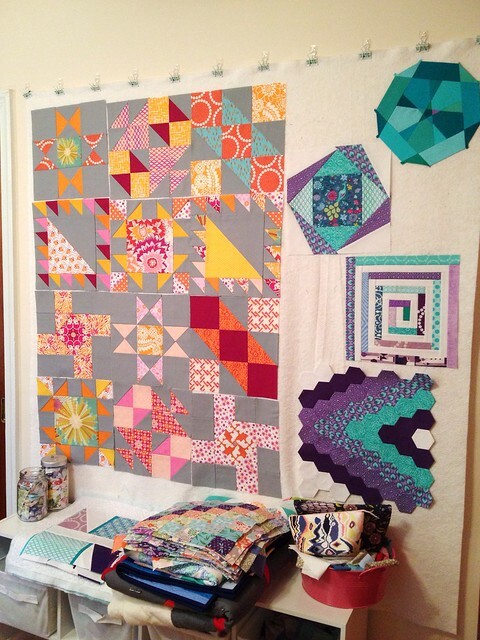 Here are the last two months worth of blocks on the design wall along with the blocks for the Sisters Ten BOM that I'm also doing this year. I like how different these projects are - it keeps it interesting! I love the colors in your skillbuilder blocks, too! You have quite an eye for choosing fabrics and color schemes. That spiral-y log cabin block looks so fantastic. p.s. please would you consider turning off word verification? Your skill builder blocks look really great! I LOVE LOVE LOVE the peacock. That's fantastic and really nice fussy cutting!